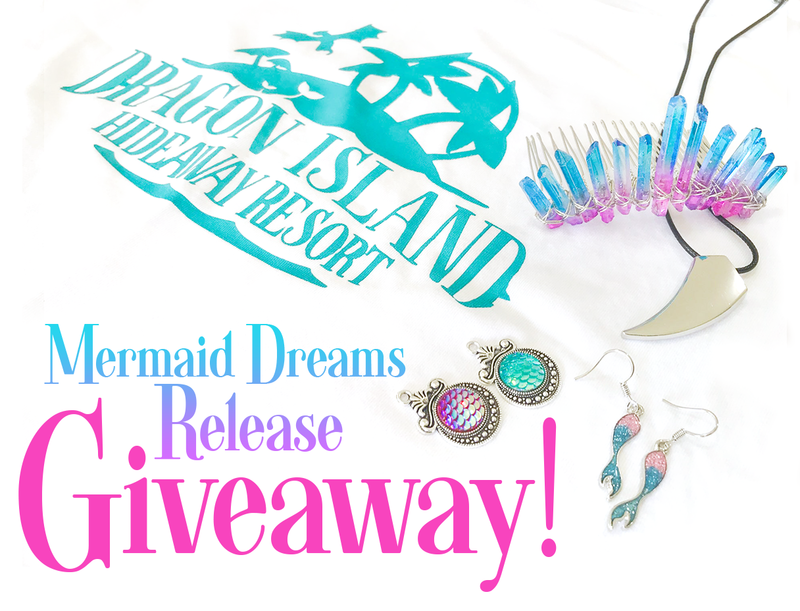 To celebrate the release of Mermaid Dreams, I'm running a Mermaid prize pack giveaway! 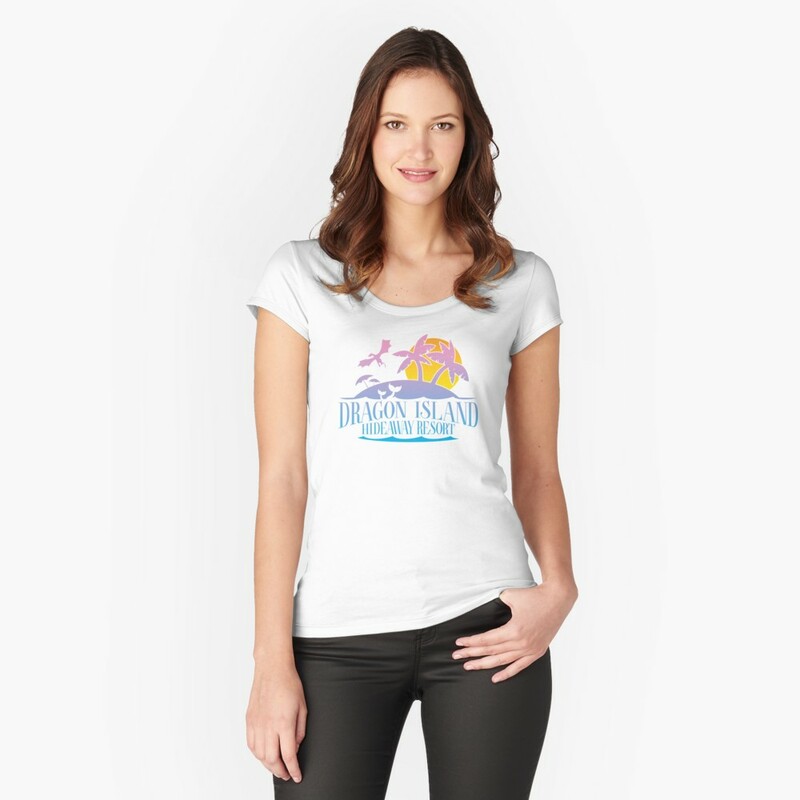 Included is a screen printed Dragon Island Hideaway Resort t-shirt, a crystal mermaid tiara, a dragon tooth necklace, mermaid tail earrings, and two mermaid scale pendants! Open to international entries! Enter using the form below, and don't forget to check out Mermaid Dreams, if you haven't already. Available to borrow in Kindle Unlimited now! Having lived with dragon shifters, Rowan's expectations for love are higher than other humans, and at thirty-eight, he’s beginning to suspect he’s never going to find anyone who can live up to them. Maybe that's why he ends up chasing a mermaid near his parent's island resort—and catching her. Or rather, she catches him. Mermaid princess Cari has no interest in finding her mate and becoming who she is meant to be. She likes who she is now. That could be why she’s more fascinated by the human man she watches on the island than one of her own kind. But when she finds herself stuck in the human world, she faces an impossible choice. Would she rather mate the person she loves, or return to her life below the waves? What was it like growing up with dragons for brothers and sisters? Rowan laughs. Well, it was good and bad. When they’re little, they’re just like normal kids of course. They didn’t get any dragon abilities, like shifting, or using their water magic, until they were in their teens. By then, I was already an adult. I was twenty-two when Damrian shifted for the first time. That didn’t stop me being a little jealous though. I mean, watching him shift, seeing him launch into the air for the first time, it was hard knowing I’d never do that. Mostly though, I was wondering how I’d keep them out of trouble now they could fly. I love them, you know? They’re my family. And no matter how much I wish I could experience the things they experience, I’m still glad they can. I still love watching them. And I’d do anything at all to keep them safe. When did you first see the mermaid? Rowan’s eyes light up. It was right about the time Zara left, funnily enough. I was thirty-four, and I’d just broken up with probably the most serious relationship I’d had, a woman who worked at the resort. We’d been together about three years. It had just hit me that no matter how great the relationship was, it would never measure up. Whenever I looked at my parents, and what they shared together, nothing else measured up. They loved each other more than anyone else I’d ever seen. And I wanted that. Woah, that got a little off topic. Sorry. Next question? That’s ok. I’m curious, why didn’t you ever tell your family that you’d seen a mermaid? Rowan shrugs uncomfortably. Well, I meant to. When I came back to the resort after catching sight of her in Calm Water Cover, I was going to tell everyone. But Zara had just left, and Damrian was really cut up about it, I could see that. It seemed a little insensitive to mention it right then. And then I got to wondering, if no one else had ever mentioned seeing her, that probably meant they hadn’t, right? So why had I seen her? I saw her again a few months later, and I began to wonder if she was only showing herself to me. The idea seemed crazy, but I just couldn’t’ shake it. It started to feel like we shared something special, even though we’d never talked. And after a while, I just couldn’t face sharing that with anyone else. It became my secret. Mine and hers. What was it like, growing up on a tropical island? Ahh, well, that’s easy, it was awesome. I mean, who doesn’t long to wake up in the morning and be only a few steps from the beach? To see that beautiful sunshine, the fresh ocean air, the gorgeous water. I spent a lot of time swimming, running up and down the mountains, exploring on my own in a way I wouldn’t have been able to if I’d lived in the city, or even still in Mungaloo. I mean, it’s every kid’s dream, right? And I got to live it, every day. Not to mention the fact that I didn’t have to go to school. No school on the island. But you still had to do school of some kind, right? Sure. We did School of Distance, all of us. They’d send us out a big box of workbooks at the beginning of the year, and we were supposed to send back one a week. In reality, we usually skipped weeks, then crammed at the end. I managed to get through it all though, even high school. And I wasn’t the least bit sad to escape from all those bullies at school. Did you ever wish you could fly, like your brothers and sister? Rowan’s eyes get a faraway look. Of course. I mean, who doesn’t want to fly? My parents bought the helicopter when I was about sixteen, and encouraged me to learn how to fly, which was awesome, but it wasn’t the same. Calrian would take me on flights around the island sometimes, when there was no one nearby, and it was so magical. No noise, no fuss, just gliding over the mountains. I’ve always longed to do that. His expression snaps back to the present. But I’m a human, and I’m never going to be able to fly like that, and that’s ok. I still wouldn’t swap having dragon brothers and a sister for anything. My live is perfect, just the way it is. Only 5 days until Mermaid Dreams is here! 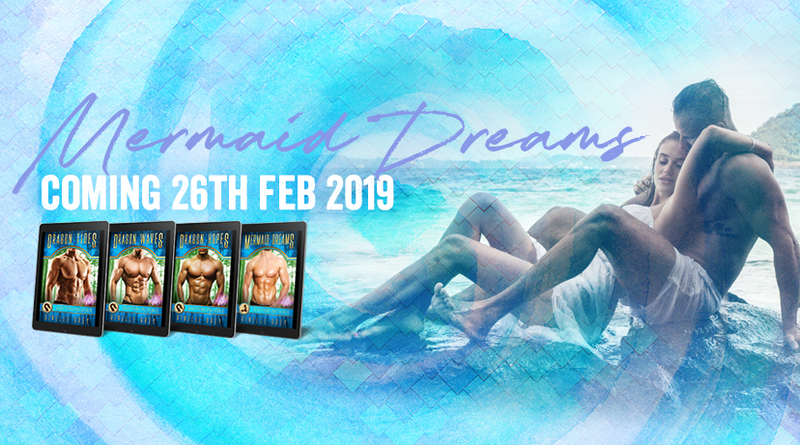 I'll be doing a countdown over on my Facebook page, with some quotes, an interview with Rowan, and hopefully a competition for some awesome mermaid prizes. This is my first mermaid story, and the final story in the Dragon Island Hideaway series. But I'm pretty sure it's going to spawn a mermaid spinoff series! You can preorder now, to make sure you get it on release day. Saving the Dragon is part 4 in Calrian and Rylee's story. A lot of questions answered in this one, and it does have a happy ending, even though the story is not over yet! I'll be writing a 5th and final installment for Rylee and Calrian, back in the current timeline. After giving up everything to follow Calrian, Rylee knows everything has changed. Her doubts have faded, and she’s ready to see if there is anything between her and Calrian. But is he ready? Calrian wants Rylee too, but his need to find his family makes it impossible. Can he ever give up on them and accept a new life with Rylee and Rowan? And even if he does, is there any place for a human/dragon mixed family in the small outback town? As 2018 comes to a close, I'm starting to make plans for next year. I have so many books I want to write, it's hard to keep track if I don't write them down! I have the Return of the Dragons series to finish (I know all of you are dying to read Ultrima's story, and it is coming eventually, I promise! 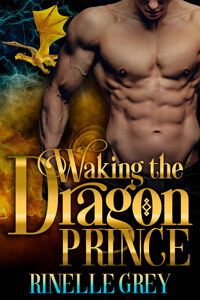 ), I have the Dragon Island Hideaway series to finish (one more book! ), and I have plans for some new series that I'm really excited about. I'm not sure if I can get them all written, but I'm going to try! I always work on the theory that if you shoot for the moon, even if you miss you land among the stars. So even if I don't write all the books I'm planning, it will be more than if I don't try! If you want to check out my release plans, you can visit my upcoming releases page here. Is your favourite series on it? As I'm finishing up this year, and planning for the next, I like to take a look back at what I've published for the year. These weren't all new books (a few were box sets and compilations), but I still think it's a pretty good lineup for the year. Interestingly it's the exact same number of books I published in 2017. Although the covers are a little more blue this year! Looking for some Christmas Bargains? Did you know my Return of the Dragons series has two Christmas stories! Both of these are on sale for the entire month of December, so if you haven't already read them, grab them now! 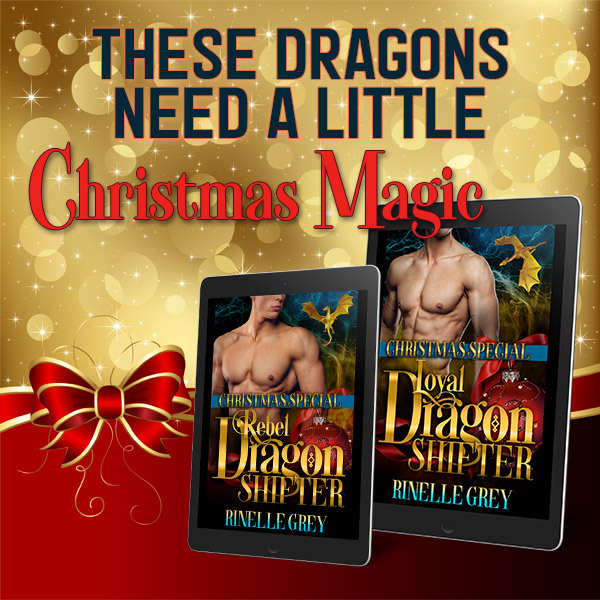 Even if dragons celebrated Christmas, Jayrian has far bigger problems to worry about when he discovers a threat to his sleeping prince on Christmas Eve. 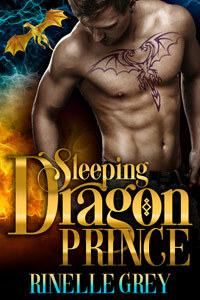 How can he wake the prince, save his clan, and end three hundred years of defeat when powerful enemy dragons guard the prince's sleeping chamber? Jayrian is going to need help, and a human librarian is his only answer. Gretchen's life is ordinary and boring, and she longs for adventure outside the books she reads. Someone to take to her family Christmas dinner to stop the endless teasing would be good too. So when the hot man who's been hanging around the library shows up on Christmas Eve, she impulsively invites him to the Christmas party. But when an honest to goodness dragon lands on the front of her car, she realises she might have bitten off more than she can chew. Even if Jayrian can convince her to help him, convincing his clan is another matter. And that's before he realises he might have just made the biggest mistake of all – falling for her. Can Jayrian make the ultimate sacrifice for his clan, and give up the woman he's falling in love with? When a stunningly handsome man turns up out of nowhere and helps Senior Constable Hailey Lyons rescue a boy who’s fallen down a canyon, then disappears, he arouses her curiosity – and her desire. When she meets him again the next day, disrupting the town’s Christmas carols, she gives him the benefit of the doubt. But what’s his secret? Where is he from? Dragon shifter Patrima has done his best to overcome his half human parentage, rising through the ranks to become one of the Trima clan’s most trusted warriors. Until he challenges Ultrima over allowing dragons to celebrate the human tradition of Christmas. Thrown out of his clan, homeless and resigned, Patrima sees no point in anything anymore. Can Hailey help him find his purpose, and help him remember what Christmas is all about? Return of the Dragons is Now Available in Print! I've been working on this one for quite a while now, months in fact. Whoever knew that formatting books for print would take so long? Well, it's mostly because I've been fitting it in around writing them, which definitely takes a while. If you're someone who still prefers to read in print, you can now buy the whole series. Prices vary because they're based on the number of pages in the books. I've tried to keep the costs down as much as possible, but I have less control over print books than I do over ebooks. Hopefully now that I have things figured out, the newer books will come out in print as they come out in ebook form. Who's looking forward to reading Damrian and Hayrian's little sister's story? Who thinks her brothers are going to be very difficult when she finds her mate? This will be my last release for the year, but I have lots of exciting plans for next year, and I'll be back to tell you all about them soon. Two overprotective dragon shifter brothers. One overprotective human one. It's a wonder Morian is allowed to breathe on her own. Not only that, but she's different. Her power as a life dragon to influence and heal is rare and valued among her kind. Keeping her safe is all her parents want. But when they send her home, they put her in more danger than what she left. Undercover police officer Finn Harley has problems of his own. After coming face to face with a dragon in his human form, he's acquired a phobia of the scaly creatures. At least his investigation only involves following a young woman seen leaving the dragon lair to find out what she may be hiding. He's at no risk of encountering another dragon. Or, so he hopes. But on this tropical island resort, nothing is as it seems. As Finn and Morian are drawn together, everyone and everything seems determined to pull them apart. Even if they can get her brothers to back off, can Finn overcome his phobia when he finds out he's in love with a dragon?